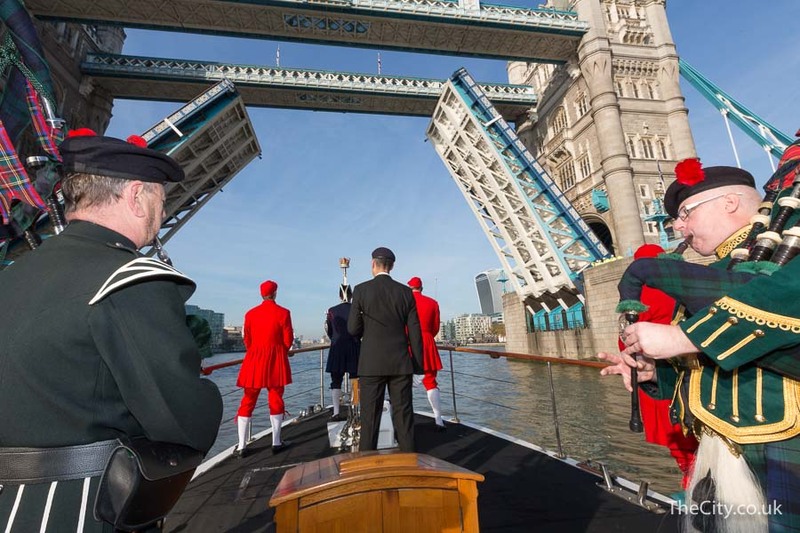 THE arms of iconic Tower Bridge lifted in salute on Friday morning as a small flotilla marking Armistice Day made its way up the River Thames. Setting off from St Katharine’s Pier, the motor vessel Havengore – famous for carrying Churchill’s coffin and a frequent sight at big Thames occasions in recent years – led the group of vessels and carried poppy wreath on board. 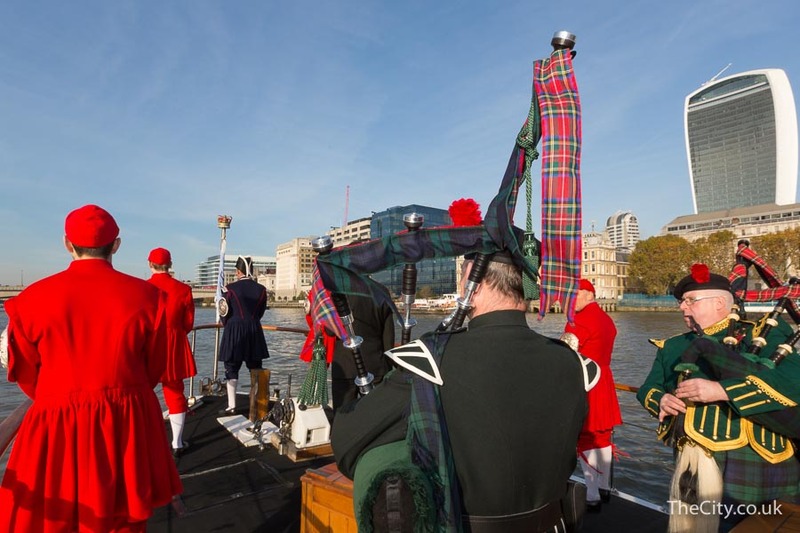 Pipers and Thames Watermen in the distinctive red coats given to winners of the Doggett’s Coat and Badge race took their places on the bow of Havengore as she slowly proceeded along the river, passing under the City’s bridges. With a flotilla behind which included fire boats, the police and the Dunkirk little ship the Bluebird of Chelsea, Havengore continued up river to Westminster where a poignant religious service took place and the wreath was released in to the Thames. Havengore, which has now left the Thames for the winter, has been undertaking the Armistice Day Act of Remembrance on the Thames since 2009. Havengore passes under Tower Bridge which was raised in salute. The ‘Walkie-talkie’ skyscraper comes in to view at the vessel continues up river. Spectators watched on as the sound of the bagpipes carried across the river. Havengore heads under Blackfriar’s station. A salute was given to the WWII merchant navy sloop HQS Wellington.